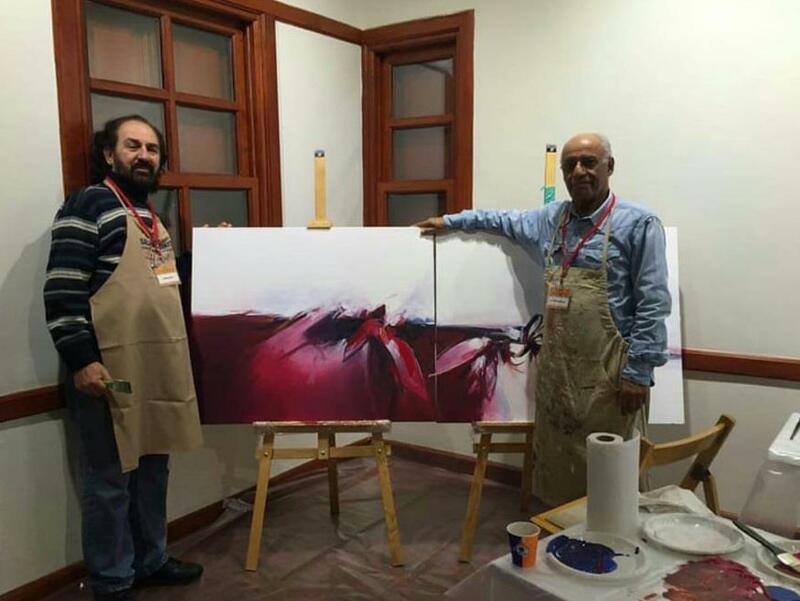 ISTANBUL, Nov 24 (KUNA) -- Works of a Kuwaiti fine artist Mahmoud Ashkanani were presented at a workshop in the Turkish city Antalya on Saturday. In a statement to KUNA, Ashkanani said that his artistic works were presented through a projector at the workshop to explain to the viewers the unique style of art he is accustomed too. He added, "I also presented my documentary film Ziry that reveals my 50-year journey in art produced by the photographer Habeeb Hussain." He also explained that all artists reveal two of their paintings during the workshop which will last seven days, and on the last day there will be a collective exhibition under the care of the National Council and Municipality of Istanbul, that will also be bidding on the paintings for a charitable cause. The Council of Culture and Arts in Antalya, in cooperation with the Municipality of Antalya, are holding this workshop under the supervision of the Turkish artist Saleh Yoon to receive artists from Europe and Asia.